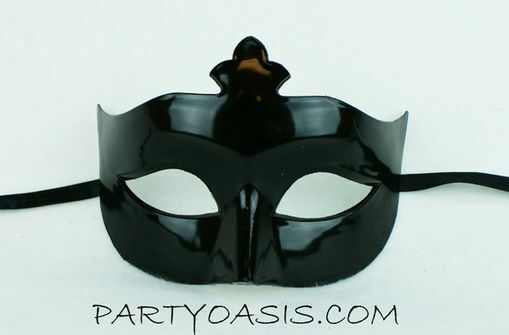 Basic black shiny mask. Made out of hard durable plastic, molded to fit face. Can be worn as is or decorated to your taste. Wearable with black ribbon ties.